The EZ Change Faucet Tool is used to fasten and remove tab mounting nuts and supply line nuts. It has a short body for easy access in tight spaces and includes a shut-off valve wrench to assist with stubborn valves. The tool features a unique cubed insert that is compatible with a variety of common nut sizes and is ideal for most common 2-, 3-, 4- and 6-tab mounting nuts. In addition, it has a retainer for three or four slot strainer baskets and a 5/8” deep welled socket is ideal for single-hole mountings. The EZ Change Faucet Tool comes with the RIDGID Full Lifetime Warranty. 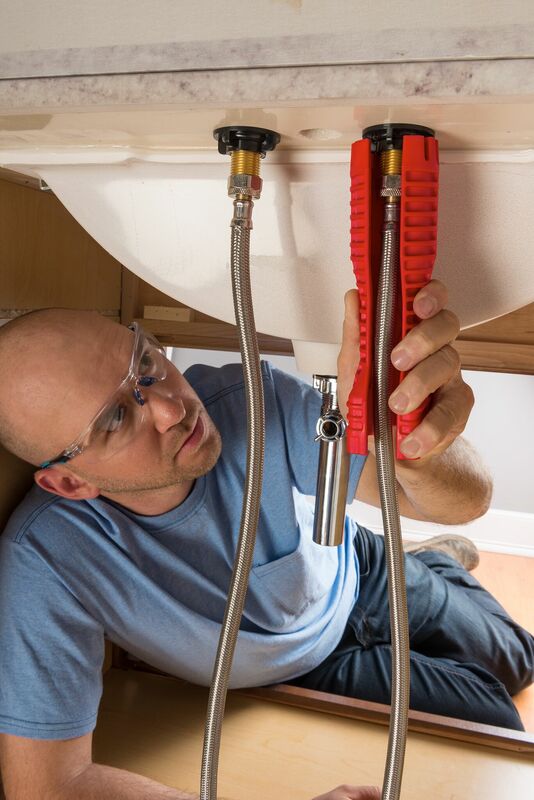 To purchase or learn more about the EZ Change Faucet Tool contact your local distributor, visit RIDGID.com, or call toll-free: 1-800-769-7743.